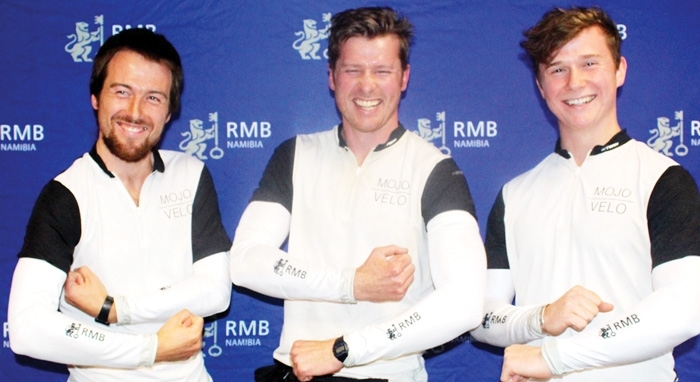 RMB Namibia, amongst other corporate companies, is assisting the Mojo Velo (mobile journalists) team on their journey through Namibia. Steven Bland, Hamish Galt and Russel Galt have been on the road since 9 April when they left Cape Town on their way to Addis Ababa, Ethiopia. ‘We will travel unsupported for around 15 000 km and up to 11 months, carrying all our gear, cycling through remote desert, thorny savannah, and mushrooming cities. 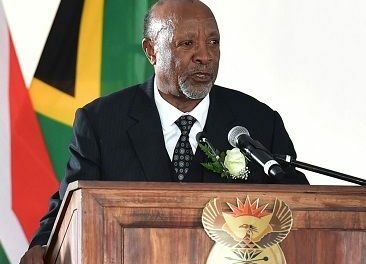 We will rely on our own self-sufficiency, and on the Ubuntu spirit of the people we meet’’, Steven Bland said. The team stopped by at the RMB Namibia offices to create awareness of their journey and share other people’s challenging and inspiring stories of sustainability and innovation. Conrad Dempsey, Co-Head of RMB Namibia: “We are excited to support the team as RMB Namibia believes in thinking that can change the world – in terms of products and solutions and nothing is impossible to us. The route is from the majestic Table Mountain, through the Cape fynbos and succulent Karoo, across the Namib and Kalahari deserts, up the Caprivi Strip, past the towering Mosi-oa Tunya (Victoria Falls), through the ruins of Great Zimbabwe, between the shambas of Mozambique, along the shore of lake Malawi, through the fastest-growing city in Africa, past the foothills of Kilimanjaro, through the Rwandan lowlands and Ugandan highlands, across Kenyan savannah to Ethiopia’s bustling capital city. The team embraces the latest Apple iPhone technologies to demonstrate the power of mobile video journalism by producing high quality documentary shorts on the move. They will charge our devices using portable solar power. They will produce documentary shorts that showcase ordinary people doing extraordinary things for their community and the planet.